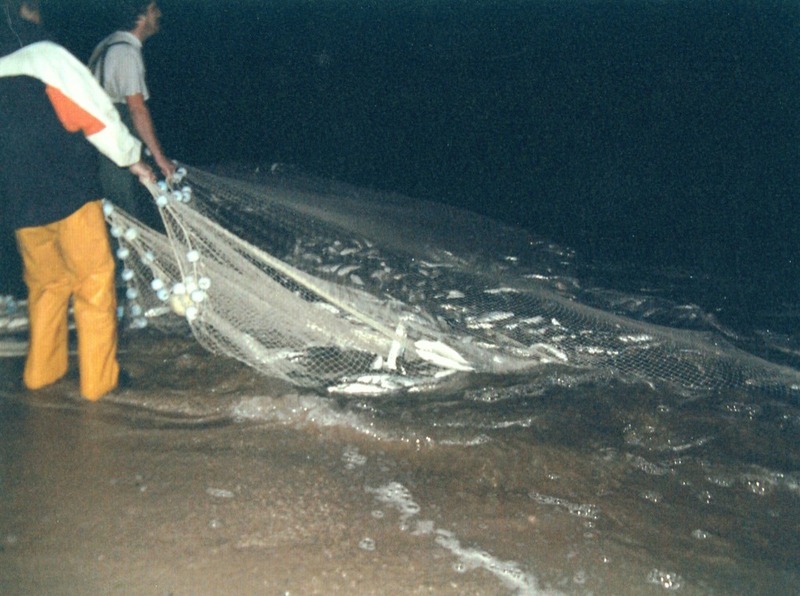 Seine fishing at Porth Beach in Newquay on 1 February, 2004 when 2 tons of mullet were caught. From left to right: ?, Ross Trebilcock. “Seine Fishing, Newquay, 2004,” cornishmemory.com, accessed April 24, 2019, http://cornishmemory.com/item/DTRB_1_006.